The coronary artery bypass graft (CABG) is the gold-standard surgical treatment for coronary artery disease (CAD). It is a relatively safe procedure that is performed thousands of times every year for treating CAD. CAD is characterized by the hardening and narrowing (atherosclerosis) of the coronary arteries, which supply oxygen-rich blood to the heart. If left untreated, CAD may lead to a heart attack. During CABG, a surgeon harvests a segment of a healthy blood vessel (either an artery or vein) from another part of the body and uses it to create a detour or bypass around the blocked portion of the coronary artery. As a result, oxygen-rich blood can flow more freely to nourish the heart muscle. 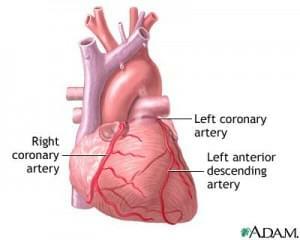 Depending on the number of blocked coronary arteries, a patient may need one, two, three or more bypasses. CABG is performed usually using heart-lung machine (see picture left), the heart is stopped and the functions of the heart, including blood flow and oxygenation, are rerouted through this machine. Dr. Tayfun Aybek and his team favour off pump cardiac surgery (OPCAB) and have used it routinely since 1997, they have performed more than 4000 such surgeries in this time period. Off pump means no heart-lung machine and no stopping the heart during surgery. OPCAB is associated with low mortality rates, even less than 0,4%. Also, permanent neurologic deficit after this kind of surgery is less than 0,1%. Not using heart and lung machines reduces body and blood trauma, which can result in bleeding complications, so that the patients’ need for blood and blood products is reduced. The postoperative recovery is fast, the team usually discharges the patient on the 4th postoperative day. Off pump coronary bypass surgery is also possible in the awake setting. Dr. Tayfun Aybek and his team have successfully used this method with more than 70 patients. In this “awake” surgery no general anesthesia is required and the patient can speak with the surgeon during the procedure (see short film). The patients can stand upright after surgery and some even go home on day of surgery. The team favour minimal skin incisions for bypass surgery (see pictures). For single bypasses only a 5 cm skin incision is possible. Even closed chest procedures using surgical robots are possible (see short film). Full arterial grafts for coronary bypass surgery are the best choice, since they do not clog as easily as veins. Arteries are also stronger and able to support higher blood pressure than veins. The clogging rate for veins is much higher, if they have to work in the arterial system as in bypass surgery. Dr. Aybek and his team prefer only arterial grafts as bypass vessels. The vessels are taken from the chest and arm. Finally, Dr. Tayfun Aybek’s concept is to minimize all potential risk factors during open heart surgery, like those that may result from heart and lung machines, deep general anesthesia and large incisions. Cosmetic result after coronary bypass surgery using surgical robot Da Vinci system (picture left) and suturing using robot instruments for single bypass LIMA - LAD.